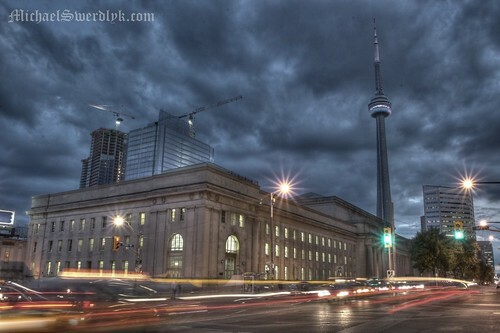 On Friday night a few members of TPMG got together for a night shoot in downtown Toronto. You would be amazed at how many strange looks and even stranger questions you get asked when you and 20 other people are setting up tripods and cameras on random street corners. I've uploaded some of the pictures to my flickr account.